Minutemen was the name given to select members of the militia and they played a major part in the American war of independence. 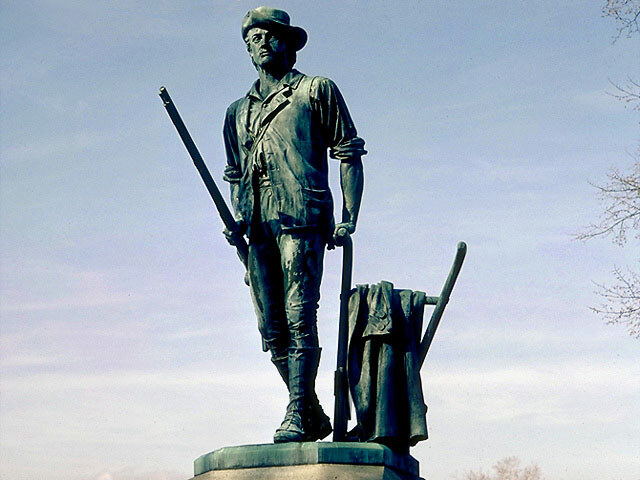 The Minutemen were some of the first people to fight the British for independence. They were a highly mobile force, which could be rapidly assembled and deployed where needed. As an acknowledgement and to honor the sacrifices and patriotism they displayed during the independence struggle, the name Minutemen has been given to various U.S. military forces and also to some missiles. In 1643 a joint council was formed and it published the articles of the New England Confederation. Each of the four members of the Confederation agreed to contribute soldiers to form a militia, which could be used to fight anywhere in the Confederation. On September 7th, 1643, towns were authorized, through their Generals, to call up the Militia whenever necessary. On August 12th, 1645, the foundations for the Minutemen were laid, when orders were issued for 30% of all militia to consist of groups that could be deployed with short notice. 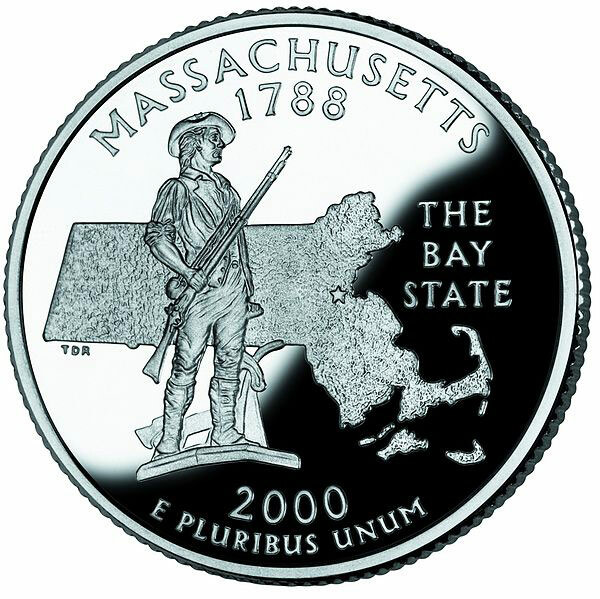 In Massachusetts Bay, a British colony, all able bodied men, aged between 16 and 60 years had to serve in the local militia. By 1645, some men from this colony were selected from the ranks of the local militia, given extra training and had to be ready for action at short notice. This rapid deployment ability earned them the name Minutemen. Unlike the local militia, Minutemen had to be less than 30 years of age and were selected for their strength, enthusiasm, and dedication. Those who had leanings towards the British or collaborated with them were not welcome as Minutemen or militia. The Minutemen were the first armed militia to arrive at the scene of a battle. Though separate, Minutemen were a part of the militia. The Officers were selected by popular vote and at the time of joining, all Minutemen had to sign a pledge. During peace, they assembled and trained between two to four times a year. As war loomed, the training was increased and took place between three to four times a week. Since the Officers were elected, decisions were frequently made by consensus and not as orders which had to be obeyed. Just before the war of independence began, after observing the rapid buildup of the British forces, the Massachusetts Provincial Congress made an assessment of the strength of the militia and found it to be only numbering 17,000, a woefully inadequate strength. This led to reorganization of the militias in 1774. The reorganization saw the militia being formed into companies of Minutemen. The plan called for 25% of the entire strength of the militia to be formed into Minutemen. Field Officers had the duty to select the best among the militias as Minutemen and divide them to form companies, consisting of 50 men each. The ranks of the Minutemen were to choose their Captains and Subalterns. These Officers had the responsibility of forming the companies into battalions. The Minutemen were given extra training and acquired skills in using arms. The training, drill and practice became more intense and were on professional lines. After the reorganization, the Minutemen became more distinct from the rest of the Militia. Before the reorganization, the lack of Minutemen was sorely felt when the British, in what is known as the “Powder Alarm” incident of 1774, managed to capture arms and ammunition from the towns of Cambridge and Charlestown and return to base in Boston, before the militias could be assembled. Most of the militia units did not have uniforms, but came to battle in their normal working clothes. They were not provided with arms and most used fowling pieces. Rifles were used whenever available. The fowling pieces and rifles did not had fixed bayonets and this prevented it from being used in close quarters. Some of the colonies did make an effort to arm the militias, especially the Minutemen, and purchased muskets, cartridges and maintained armories. The Minutemen did not get regular European style army training. They, being irregulars, were used primarily as skirmishers and sharpshooters. They would fire from a forward position to harass the enemy and then fall back. The regular army held the central position. They would also cover the flanks of the main army. The Minutemen had the added advantage of being familiar with frontier hunting and they knew the lay of the land very well. Though the rifle had a much greater range, it took a longer time to reload. The long rifle was ideal for the ‘shoot and scoot’ type of combat. In due course, the Minutemen and militias became a formidable force in their own right and provided valuable support to the regular army. Though they were regarded as poor marksmen, they played a useful role in containing the British. British officers learned valuable lessons from the Minutemen style of fighting and modified their army response and tactics accordingly. The Minutemen played a vital role in the war of independence. In 1774, when the British military Governor of Massachusetts, General Gage, tried to enforce the ‘Intolerable Acts’, the militia thwarted his attempts. At the County Convention held by the colonials, they made all the Officers of the militia resign and had them elected by the men of their regiments. The officers then selected 1/3rd of the best men to be the Minutemen, who would form the quick response vanguard of the militia. Many counties followed the new model. The militia developed an elaborate system of alarms and signals, so that the Minutemen could be rapidly deployed whenever the British moved out of Boston. This frequent mustering made the Minutemen companies get more firing practice and led to them becoming cohesive fighting units. 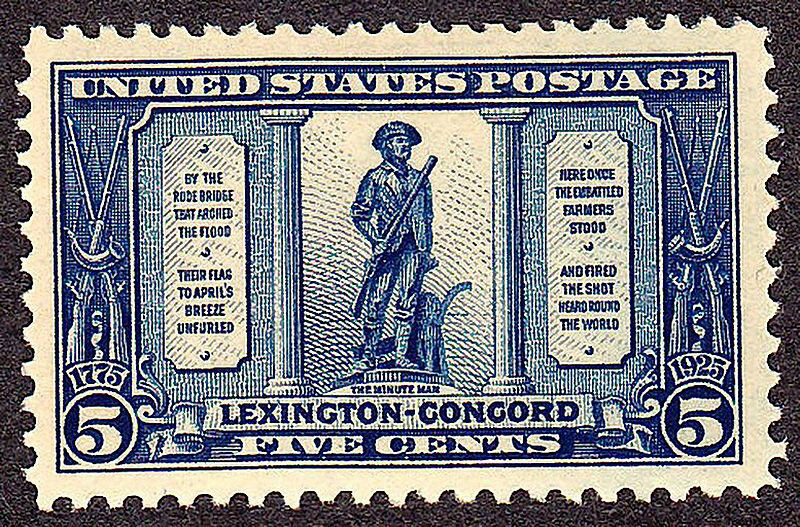 The battles at Concord and Lexington, where the British tasted their first defeat, was the first salvo in the American war of independence. The mobilization plan of the Minutemen was so rapid and effective, that the British were saved from total disaster only by the timely arrival of a relief column. The Minutemen, the elite of the militias, were in the forefront of many battles of independence. The role of militias is enshrined in one of the tenets of the U.S. Constitution which asserts that a well-armed militia is essential to the defense of the Union. The contents of this article prove conclusively that the militias were under local state control and were not formed by sole individuals with guns. It therefore demonstrates that the much-claimed “right to bear arms” under the Second Amendment is not applicable to all individuals but only to those who are members of states’ militias. States’ militias have today been superseded by state-level National Guard; it is they – and they alone – who have a constitutional right to bear arms. Exactly right. I get so sick of gun nutz and their wacky interpretation of the 2nd Amendment. Their interpretation of the 2nd Amendment tramples on my “inalienable rights of life, liberty and the pursuit of happiness” as set forth in the hard-fought for rights of the Declaration of Independence. My ancestors WERE Minutemen, and I am willing to bet that they did not fight for anyone’s right to bear a Bushmaster Carbon 15. Except most of the time they were required to provide their own weapons genius. You clearly know nothing about it other than what you read here. wrong…. the right of the PEOPLE to keep and bear arms shall not be in fringed…research 2 nd ammendmant quotes and you will find it is Americans fight and duty to at all times be armed…do more research.. If you read the 2nd Amendment, it does not say that the people, to whom the right to bear arms is assured, has to be part of a well regulated militia, but that both groups of people have the right to bear arms. John D. I did a little on line digging…The Supreme Court, in 2008 ruled that the 2nd Amendment pertains to both ordinary citizens and military personal…http://constitution.findlaw.com/amendment2/amendment.html…which means that your argument is moot. John D. you have made the same mistake made by many when attempting, not to find the truth, but just a glimpse of what you percieve to be support for your argument. You failed by attempting to make your entire argument, an argument you have already concluded, with one source and that a very brief description of one historical group. If you want to make a convincing argument you need to do a lot more homework. The 2nd Amendment states that the right of the PEOPLE to KEEP and BEAR arms shall not be infringed. It doesn’t say The right of the Militia. However the Militia/Minutemen were ” WE THE PEOPLE “. Those who would argue against this right suffer from what I like to call ” Naive Prey Syndrome”, and will someday fall prey to tyranny.